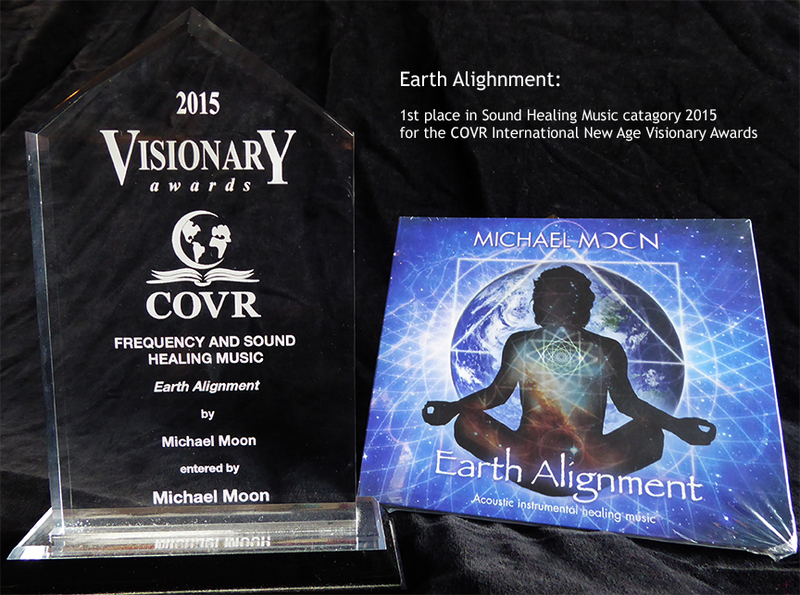 Michael Moon on vibraphone, marimba, orchestra bells, yang chin, gongs, crystal bowls, tibetan bowls, voices, quartz crystals, feathers, chimes, bells and nature recordings. Sounds and frequencies from our beloved Earth weave with cello, flute, bells, vibraphone, marimba. santoor, gongs and crystal bowls creating a seamless and beautiful instrumental meditation. Recorded at 432 hz using all acoustic sound with no added electronics. This deeply relaxing music harmonizes and aligns the listener with the frequencies of nature creating a powerful tool for meditation, shamanic work, energy healing, tai chi, yoga and massage. Over the years I have collected quite a menagerie of instruments from around the world. These I layer, recording one over the other working hard at making it flow as close to natural rhythms as possible without getting caught in the conventions of music composition. I don’t just use instruments but I’ll make sounds with feathers; quartz crystals; playing bells with violin bows… anything that gives me the sound I’m after. Much praise and gratitude to Laura and Lucas who were able to beautifully realize my musical ideas to fruition trusting my unusual process and understanding exactly what I wanted. I have been drawn to the sounds and textures of nature since a child, trying to emulate them artistically. In this project I became particularly interested in the sounds of frogs. I found a recording of frogs I had recorded to as a teenager and mixed with music. The piece inspired me to make a whole CD like it for meditation. So I went back to where I recorded them and didn’t find them there. So I searched all over Southern Ontario following their call to hidden forest ponds. I found many frog ponds, quietly recording while the mosquitoes had a feast. But I never found the rich mix of species I had on my original recording. I ended up using the original recording with its music as the track ‘At the Altar of Gaia’ on this CD, for I found it uniquely special. I realized I had just witnessed first hand how the frogs really are disappearing as I had read about. 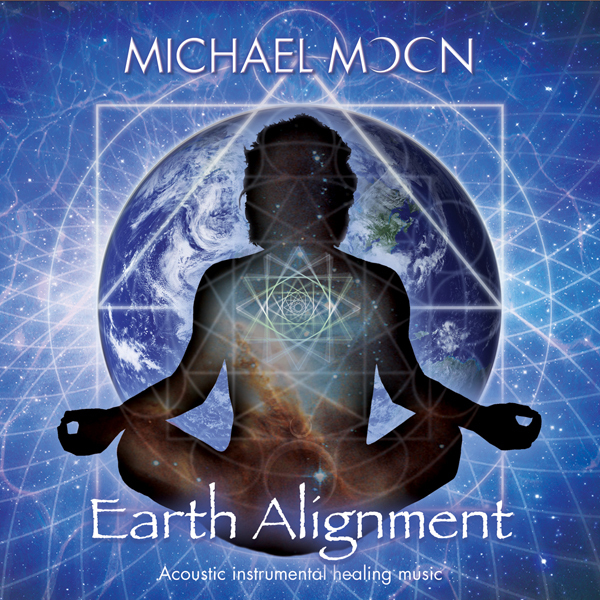 I feel like they called this CD into being and the many nature sounds I found while looking for the frogs became the backbone for ‘Earth Alignment’ to be created to. Frogs are amazing little creatures and there sounds are very rich harmonically. Esoterically they are said to represent cleansing and healing. On my journeys I recall waking at the crack of dawn to record bird song in the West Virginia Mountains, paddling a canoe in the middle of the night to record loons in a northern Ontario Lake and many other adventures. This music is designed as a healing tool that can be both effective and beautiful. There are many ways to use it. Active listening is the most powerful. If you put your entire focus on the sounds, the non repeating and non rhythmic openness, along with the rich acoustically created harmonic frequencies can work magic. Listen deeply, especially with headphones and meditation will naturally occur. Breath becomes slower and deeper and the brain will begin to entrain to a deep alpha/theta brainwave state where the bodies’ own healing process is encouraged. Move to the music and tai chi or yoga movements slow, deepen and the energy flow becomes stronger. Used in massage or healing sessions the music can help create a deeper healing experience. This music can also be helpful played in the background. From traffic to fridges, cell phone towers to computers, there are many unnatural sounds and frequencies all about us, which our bodies begin resonating with and can cause tension. Playing this music creates a relaxing, natural frequency the body can resonate with instead.